Professor Naples has three primary avenues of research. She uses a variety of methods including ethnography, discourse analysis, archival research, and comparative research to determine how social actors are affected by, and resist extra-local economic and political structures and policies. In this line of research she has analyzed the historical construction and implementation of welfare, immigration, and rural economic development. She also explores the dynamics of community activism, globalization, and feminist praxis. Her current collaborative research with Mary Bernstein explores the construction of sexual citizenship in comparative perspective. She teaches courses on feminist theory; sexual citizenship; qualitative methodology; gender, politics, and the state; women’s activism and globalization; feminist pedagogies; and gender and science. She served as President of Sociologists for Women in Society (2004), the Society for the Study of Social Problems (2007-2008), and the Eastern Sociological Society (2013-2014). 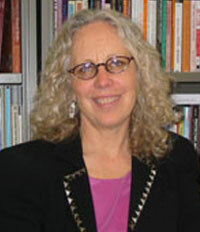 She is the 2011 recipient of the Excellence in Research Award for Social Sciences from the College of Liberal Arts and Sciences at UConn and has also received the 2010 Distinguished Feminist Lecturer and 2011 Feminist Mentor Awards from Sociologists for Women in Society and the 2012 Scholar Activist Award from the Society for the Study of Social Problems’ Division of Sociology and Social Welfare and the 2014 Lee Founders Award from the Society for the Study of Social Problems. 2014 Border Politics: Social Movements, Collective Identities, and Globalization, co-edited with Jennifer Bickman Mendez. New York: New York University Press, forthcoming. 2009 The Sexuality of Migration: Border Crossings and Mexican Immigrant Men by Lionel Cantú, co-edited with Salvador Vidal-Ortiz, NYU Press. Best Book (co-winner), ASA Section on Sexualities, 2010. Honorable Mention, LASA, Latino Studies Section, 2010. 2003 Feminism and Method: Ethnography, Discourse Analysis, and Activist Research. New York: Routledge. 2002 Women’s Activism and Globalization: Linking Local Struggles and Transnational Politics, co-edited with Manisha Desai. New York: Routledge. 1998 Grassroots Warriors: Activist Mothering, Community Work, and the War on Poverty. New York: Routledge. Awarded Honorable Mention, ASA Section on Race, Class, and Gender Distinguished Contribution to Scholarship Book Award 2000. Finalist, C. Wright Mills Award, Society for the Study of Social Problems, 1999.